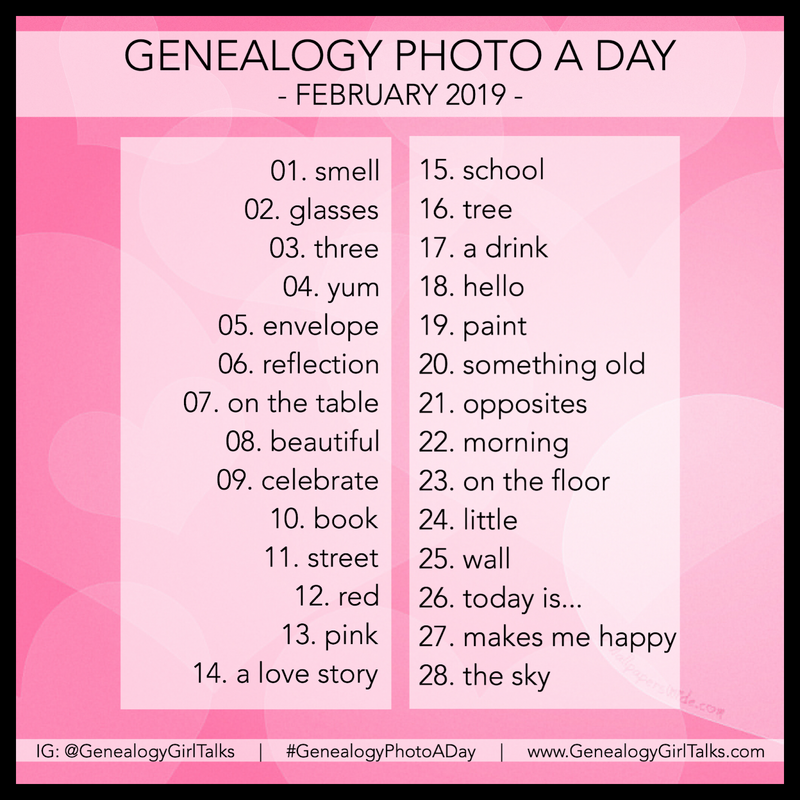 The February 2019 “Genealogy Photo A Day” prompts are now available! Come join the fun over on Instagram! To participate in the challenge, use the hashtag #GenealogyPhotoADay with your photos and follow @GenealogyGirlTalks. DON’T FORGET: You can now have your pictures featured on the @genealogyphotoaday account when you use the #gpad_feature hashtag on your posts! Thank you to all who participate and share their photos! Look for new features here on the website!